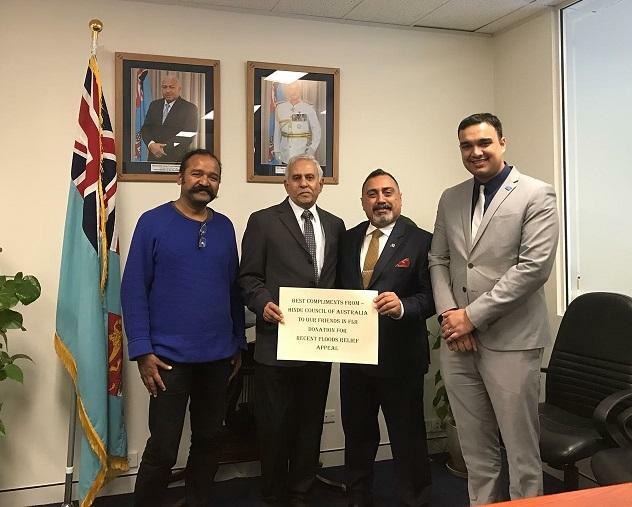 Hindu Benevolent Fund, a project of Hindu Council of Australia has donated $2,100 for the relief work being done in Fiji for the victims of the recent cyclones in Fiji. Hindu Council had a few months ago helped raise substantial donation in cash and kind (3 containers of clothing, utensils, baby food etc) as sequence to Flood Relief Appeal from Fiji government. This was an initiative of Karma Kitchen, HBF and HCA volunteers. Kanti Jinna sought the help of Fiji High Commission and the goods were sent to the right people in need in Fiji. HBF had earlier sent relief goods for helping immediate needs of the cyclone victims. This money is to be used for rehabilitation of the Fiji cyclone victims. The High Commissioner of Fiji had invited Hindu Council of Australia volunteers to thanks them and to facilitate for the help. Hindu Council’s NSW President Mr Jay Raman and by Hindu Council’s Director Community Services Mr Sai Paravastu went to the high commission to meet them. The Hon Fiji High Commissioner Mr Yogesh Punja and Hon Consul General and Trade Commissioner Mr Zarak Khan met them and hosted a high tea for them. During the Tea, they were acquainted with various activities of Hindu Council. 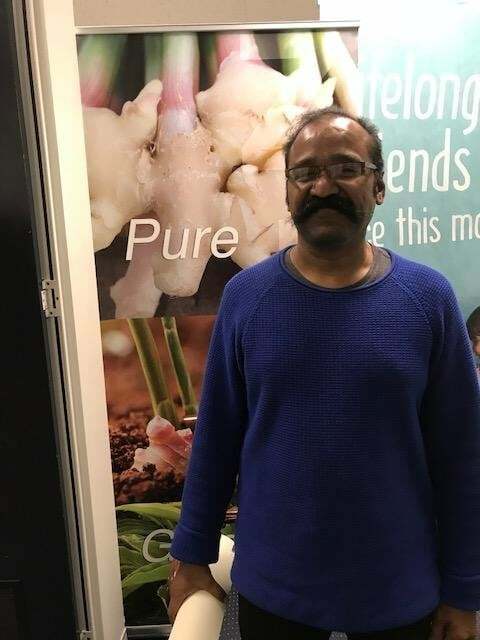 Mr Zarak Khan offered to send a Fijian cultural team to perform in next Deepavali festival. He also confirmed high commission’s participation in Parramatta Deepavali festival and take up a community stall. During the cyclone and floods, 280 homes were destroyed in Kadavu Island. Rebuilding efforts are in place and it will take some time before life comes back to normal. The money donated by Hindu Council will be used for rebuilding effort. The Hindu Council team promised to keep in touch and made an open offer of help to Fiji and Fijian in their times of crisis.